The switch to "soft" urethane plastic bumpers complete with replacement of rear bumper. Rear bumper cover is two pieces with visible seam. Final year for 454 big block and genuine dual exhausts. 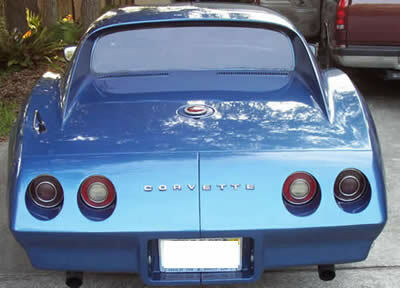 Last Corvette model without catalytic converters.